Saute the fresh clams, fennel tomato and curry in the butter for 1 minute. Add the coconut milk, cream and lime juice and bring to a boil. Cover then let simmer for about 8 minutes over medium heat or until the clams are opened and the meat can be easily pulled away from the shell. Taste the broth and adjust the seasoning with salt if necessary. 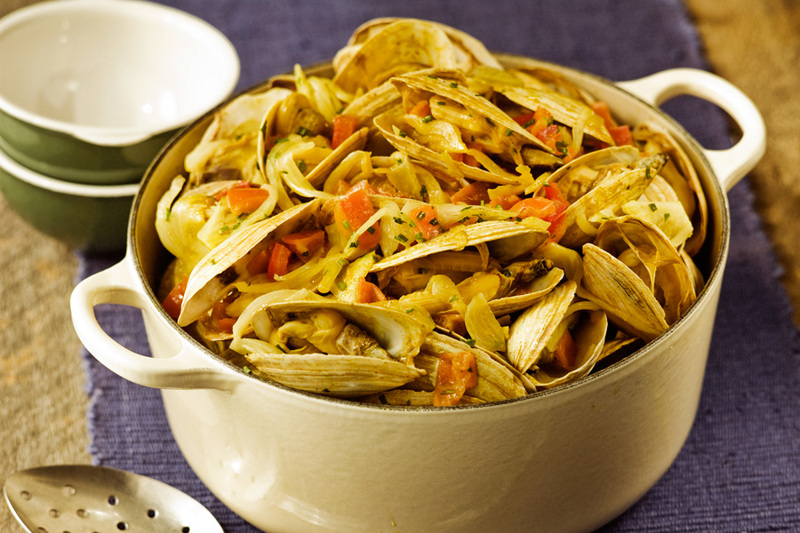 Transfer the clams to a large bowl or casserole dish. Pour the remaining broth over the clams and sprinkle with cracked pepper. Serve with crusty bread and lime wedges.